The Jones Bluff Loop is not for the faint of heart. While the trail offers a relatively easy hike with beautiful scenic lookouts, be forewarned that his loop means business with an endurance-testing 8.5-kilometre trek. Pack water, food and be ready for changeable weather. It’s a 3 to 4-hour hike with no shortcuts! 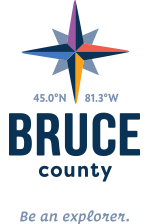 Parking is at the Bruce Trail lot on Boundary Road. Discover what it’s like to touch the clouds as you look over MacGregor Harbour where Cape Croker juts into the water. From your perch, you’ll see Sydney Bluff, Cape Dundas and Barrier Island in the distance. While you don’t reach the shoreline on this trail, you’ll hear the sound of surf meeting the shore as you traverse forest and rocky outcrops, eventually stealing glimpses of Colpoys Bay, White Cloud and Griffith Islands.